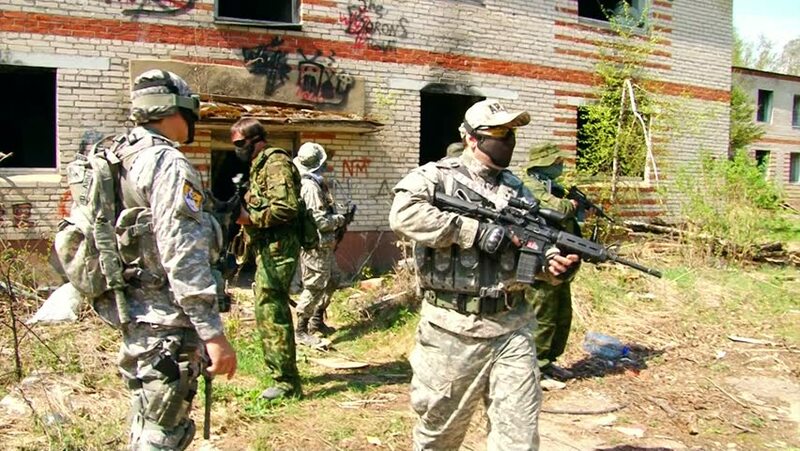 Moscow, Russia - May 09, 2013: Men in military uniforms playing in ruined building of airsoft military polygon. People using a copy of a firearm. 4k00:11Gomel, Belarus - April 30, 2018: Russian Soviet Infantry Red Army Soldiers Of World War II Hiiden Walking In Forest In Summer Day. hd00:14Young and old men are talking near the wagon with hay. Rural life. Georgia. 4k00:20Soldier holding gun weapon and waring armor uniform. The military is responsible for maintaining the territory.